Today I want to talk about confidence. 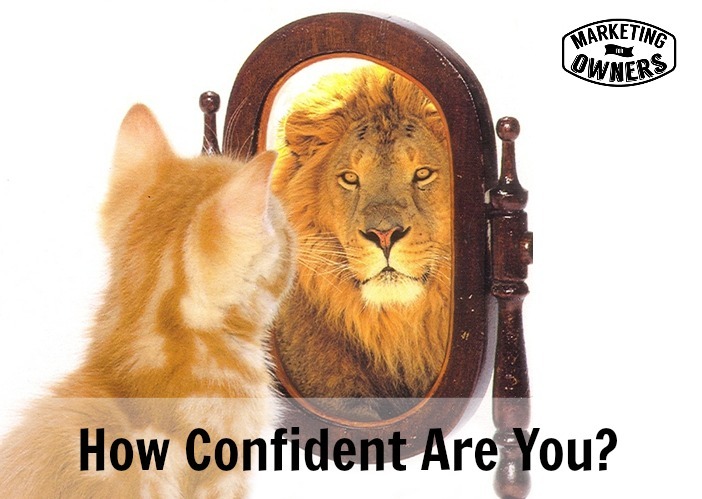 How confident are you? By confident, I mean how confident are you in your product or service? But when it comes down to it, has that client come back and ordered more? How many orders have you had? Yes, they come back. So, they must like it. Sometimes we don’t feel that our service is quite professional enough, quite up to scratch, quite worth the money. But it’s all in the head. It’s all in here. Ask the client. It doesn’t really matter what you think as long as you are confident. But I’d like you to speak to clients, talk to them, ask what they think of your service. Now that’s quite a scary thing. Imagine you’ve just done some kind of consultancy or done some sort of design work. Maybe it’s dragged on a bit or something like that, the project. It was seven or eight thousand dollars. How many of you are confident enough to go and speak to a client and say that, ask those questions? But I challenge you to try it because, first of all, most people are nice, inherently nice. How many of your clients are going to say, “No. Horrible. Awful. Give me my money back”? So, ask clients. Be confident. Remember, you’ve sold your service over and over and over. Please feel your service is worth everything. Be confident. This will help your marketing, will help your selling, and will help your business no end. Yesterday I mentioned about a person to follow being Marcus Sheridan. Today, I’m going to give you a podcast to follow and I’m going to stick with Marcus. 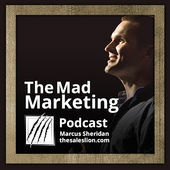 Marcus has a podcast called The Mad Marketing Podcast from The Sales Lion. It is a great way of getting into podcasts. Marcus started his own business, built his own business. He’s been in the trenches. He still is. He knows how it works. But he talks from the heart and he answers a lot of listeners’ questions. Get on Podcasts, go to iTunes, go to Stitcher, go to his website, you’ll be able to pick it up from there. Please try Podcasts. It’s so easy. It’s so cool. Also, I want to give another shout-out to our sponsors, the wonderful Rainmaker from Copyblogger. Please go visit the link at bit.ly/mfo-rain. The Rainmaker platform is just fabulous; the only website you’ll ever need. That’s it for today. If you’ve got any questions, email them in. You know how to get a hold of me. Otherwise, see you tomorrow.